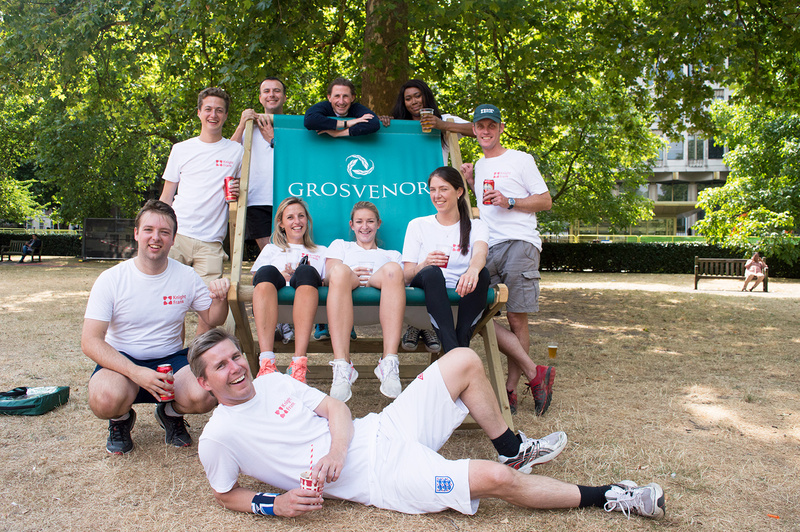 We Are Placemaking were asked by Grosvenor Estates to produce their 8th year of their annual community Summer in the Square event In Grosvenor Square, Mayfair. 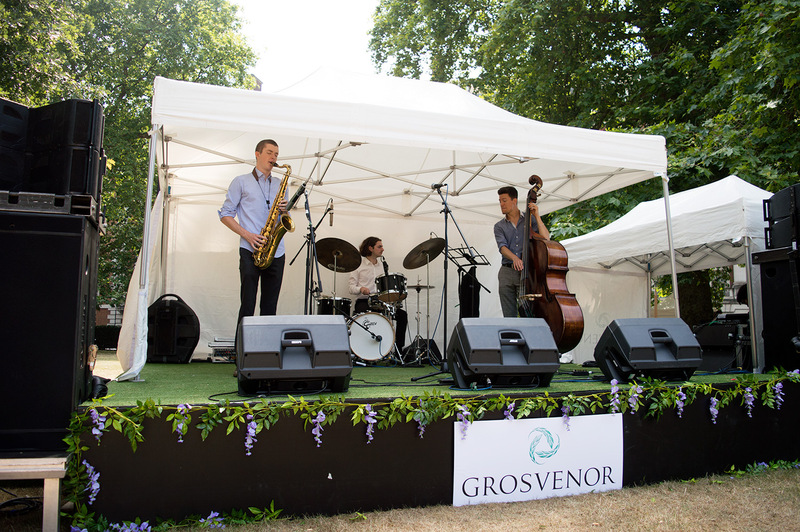 The long standing two week event has always been an exciting part of Mayfair’s residents’ summer. The brief was to produce the event and develop some new ideas to elevate the quality and to bring something new to the square. Management and audit of suppliers. Booking of a range of musicians, performers and creative workshops. Managing the display of brand collateral. Working with sponsors and displaying sponsorship collateral. 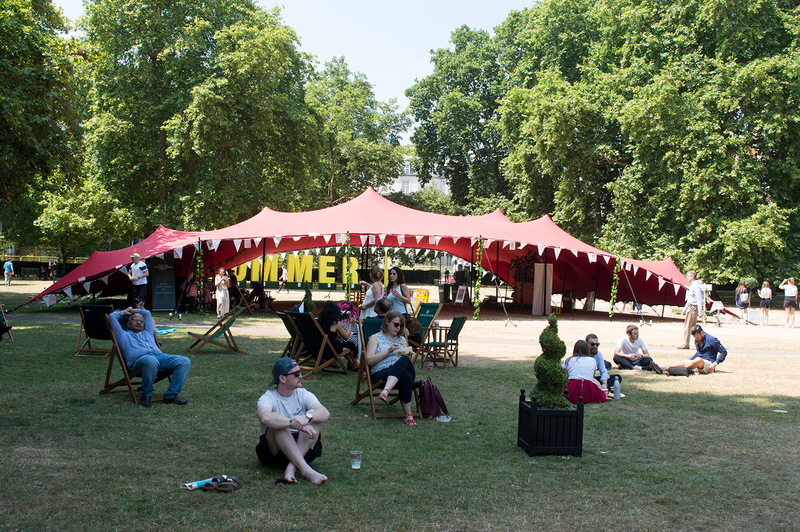 Overall, Summer in the Square was a great success, running from the 2nd July until the 15th July. 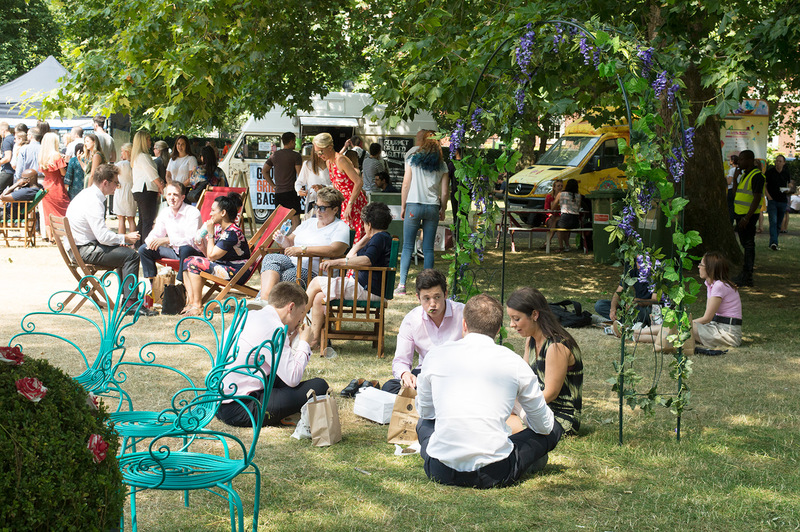 We were able to transform London’s second largest garden square into a relaxing haven full of free cultural community events with a selection of food traders, free games and entertainment for all. The two week schedule included something there for everyone. Including a stage for musical and a selection of theatre performances. The site also included The Nook – a stretch tent area holding a series of workshops, dance classes, yoga and Pilates classes and a comfortable library corner for people to take a second out of their day to relax. 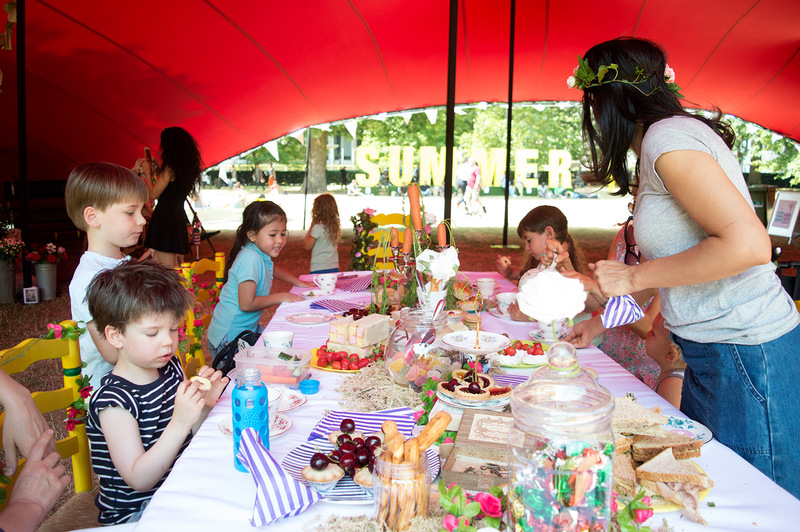 There were several themed days throughout the two weeks, a Mad Hatter’s Tea Party, The Tea Dance – in association with The Octavia Foundation, Sports Day and Arts Day. We also hosted a couple of Summer parties in the Nook for Grosvenor and The New West End Company.